Osaguona Ighodaro has been one of the revelations of the Nigeria Premier League 2012. Ighodaro signed for Shooting Stars FC, based in Ibadan in south-western Nigeria, before the new season and was completely unknown to fans of Nigerian football. At the time of writing, Ighodaro has scored four league goals in eight performances, making him the top scorer at the club. Interestingly, Ighodaro has started only three of these eight matches. Ighodaro has been described as the “leading striker” at the club. He has impressed with his aerial power, his hard work, his excellent ball movement and his positioning. According to the same webpage, “Christian Ighodaro” was 20 years old in November 2010 and is 188 centimeters. Personally, I am pretty sure that “Christian Ighodaro” and Osaguona Ighodaro is the same player. It is difficult to find information about football in Benin but some sources describe Ighodaro as the star player of Buffles. I know that he had scored three or four league goals after 16 rounds of the Benin Première Division 2010-2011. Unfortunately, there seems to be some confusion regarding the age of Ighodaro and it is uncertain whether he will turn 20 or 22 during 2012. In any case, Ighodaro seems like a very interesting player who could be a star in the making. Ighodaro is also known as “Osagona Ighodaro”. 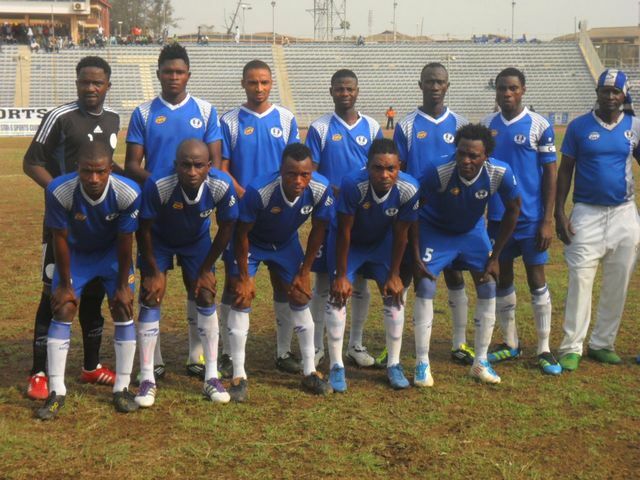 The picture is of the team of Shooting Stars FC and is taken from shootingstarssc.net. I am not sure whether Ighodaro is in the picture.